Some really good products there ! Hey Amena, I absolutely adore the manicure - and the colors are so pretty! Followed! I swear by morroconoil for this weather !! its simply perfect..
Great list. I loved your nail. I have more than 60 shades of nail colour in my collection and I just seem so obsessed with nail polish. Love your list of must-haves hun! And that mani is so pretty! 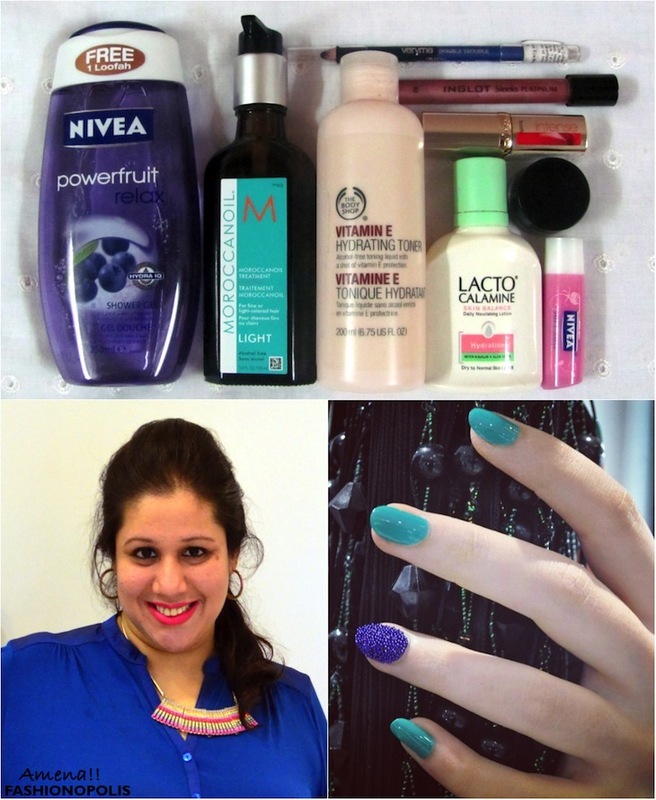 I was not a monsoon person too, while I lived in Mumbai:-) Your tips are undoubtedly beneficial and practical..love the idea of the blue mani and all things blue for monsoon months!